History: Growing up, Rebecca was a very active and physical child. Always seeking a challenge, she tried every sport, every physical activity from Acrobatics to rock climbing with no ropes, sky diving... the list goes on. This continued throughout High School, becoming a top athlete. Upon Graduating, she felt her life was to slow, boring, and she needed a challenge. Rebecca enlisted in the U.S. Navy, determined to be the first female Navy Seal. Luck would have it that she passed B.U.D.S. training, and succeed in her goal. But, like always, this bored her, and so transferred throughout the various branches of the Military. Army Green Beras, Air Force Paratroopers, even becoming a member of the Elite Black Op. Strike Forces. She moved up through the ranks, earning a well deserved reputation for herself. This stellar carrier wouldn't go unnoticed either. After a successful mission in China, an agent from S.H.I.E.L.D. approached Beck, offering her a command position. She gladly accepted. After years of decorated service and activity, she tired of the constant travel, thus she sought a more stable position withS.H.I.E.L.D., looking for a static position. Dropping her field status, she still wanted a role that would allow her some "fun". On advice from a friend, it was suggested she become an undercover op, a plant within the NYPD to keep tabs on the "locals". 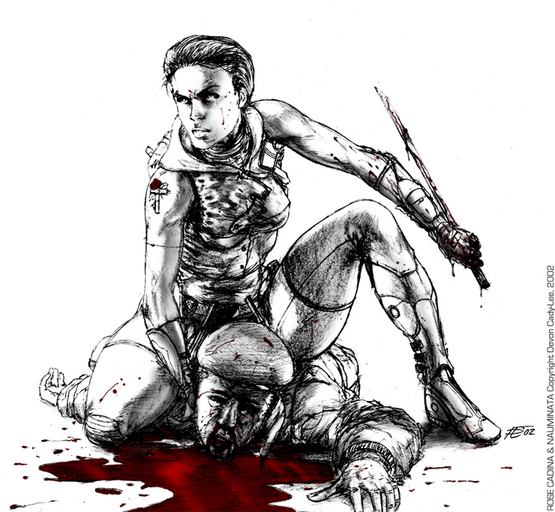 Thus she became a member of the NYPD under the pretenses of being a "former" member of SHIELD. 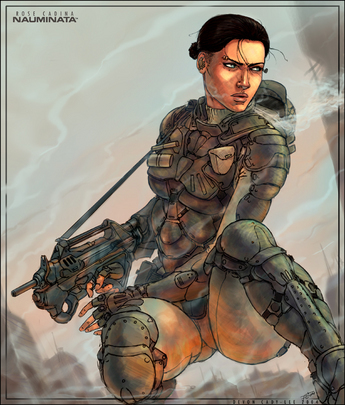 In combat, you'll always find Beck on the frontline with her troops. She'll be the first one on, and the last one off. Extensive knowledge of all firearms and there uses. Highly adaptible. 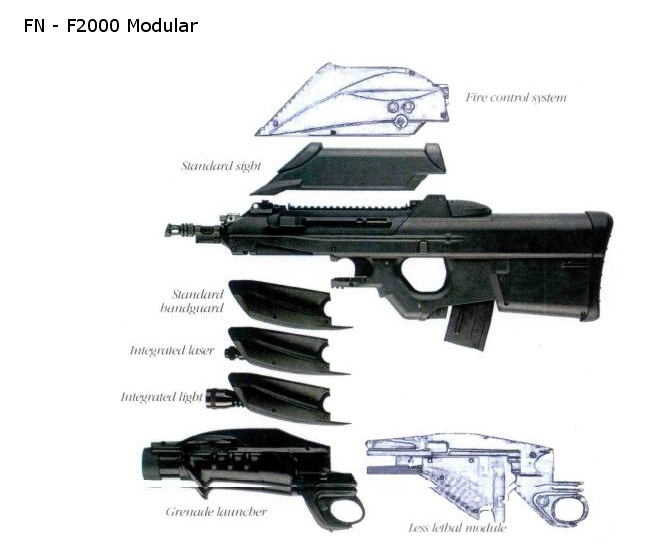 FN Herstal F2000 Assualt Rifle. Current configuration: Scope attachment, 100x Optical Magnification with low light/night vision setup and fiber optic read out for range, wind variables, and angle of trajectory. 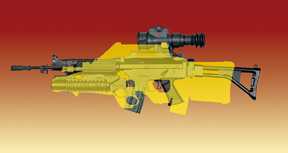 Laser sight attachment. Fire control Sytem. Grenade Launcher. 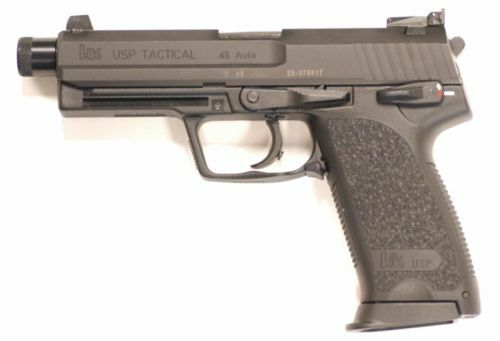 Always carries: Dual Heckler Koch USP .45 Tactical pistol with threaded barrel for Silencer attachment. 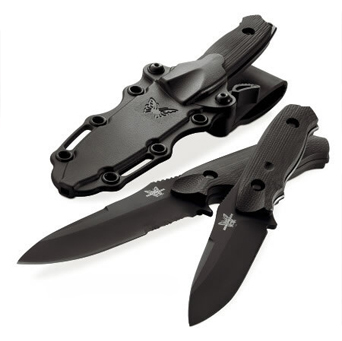 || Bench Style Nimravus Titanium Alloy Knife.